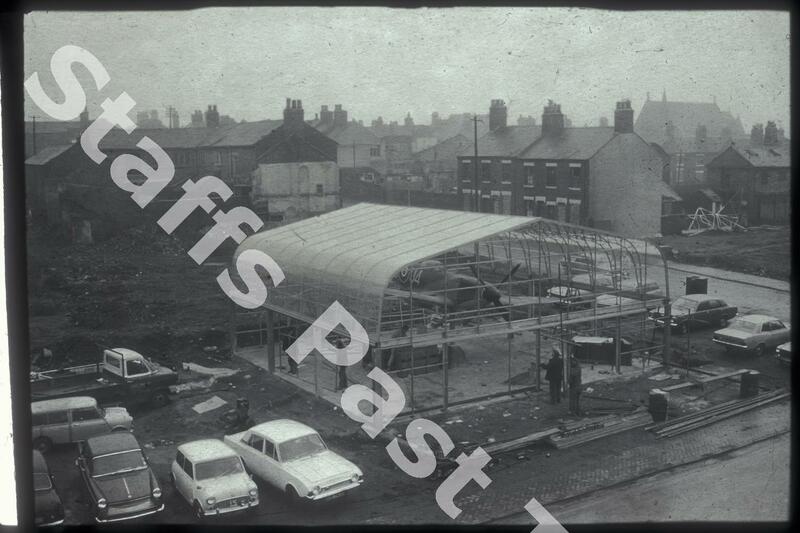 Description:The temporary "greenhouse" being built to house the Spitfire RW 388 outside the Potteries Museum and Art Gallery in Bethesda Street. This aircraft was manufactured in Castle Bromwich in 1945. Mounted on a pole, the aircraft was displayed until moved into the museum in 1985 when the airframe started to deteriorate. Behind the "greenhouse" was Vine Street and beyond that Mollart Street, mid 19th century streets of terraced houses and small factories. The taller building in the right hand distance is Church of the Sacred Heart on Jasper Street. Both Vine and Mollart Streets have been demolished and the Potteries Way now occupies the space but Jasper Street remains. Stoke on Trent Crown Court now stands here. 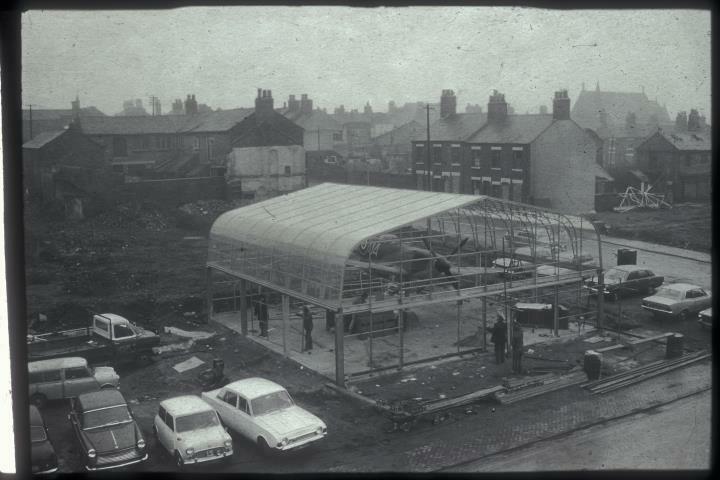 The white car next to the "greenhouse" is a Ford Corsair saloon, built between 1963 and 1970.